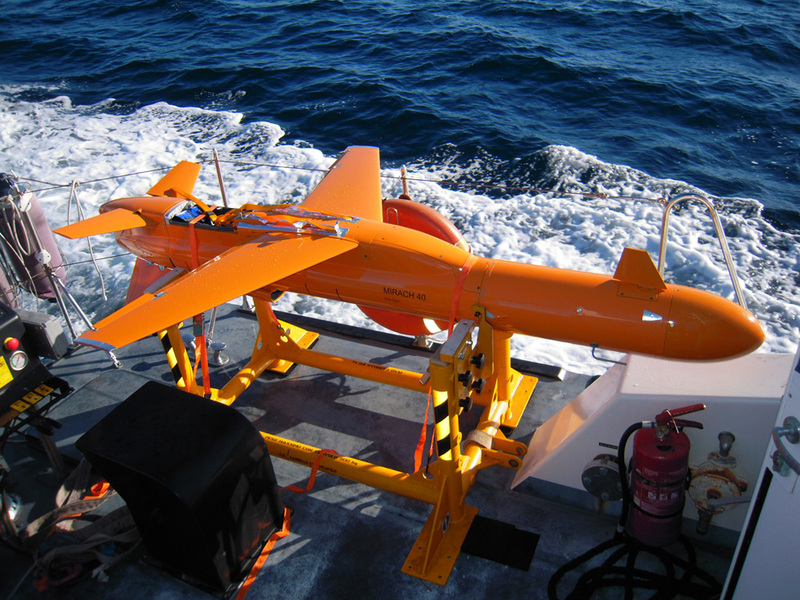 The Italian navy has used its new M-40 target drone for the first time in support of a domestic exercise. It was operated alongside the Mirach 100/5 in simulating threats that could be encountered during at-sea operations. Italy is the launch customer for the M-40 variant of Leonardo’s family of targets—a system unveiled during the Paris air show in 2017. During the exercise, the aircraft carrier Cavour and its AV-8B Harrier IIs were operated alongside the destroyer Mimbelli, with the M-40 representing threats to which the various defenses could react. The M-40 drone benefits from a lower operating cost in comparison to competing systems, the company says, which results in forces being able to carry out more training for the same price. It essentially provides most of the performance characteristics of the Mirach 100/5 but at a lower cost, and while it can support a wide range of requirements, the cost point also makes it expendable, if required. A commercial engine, meanwhile, reduces any potential export issues, Leonardo adds, and the design of the system does not include pyrotechnics, which allows it to be more easily stored and transported, providing easier deployment to remote training ranges. It can additionally be used in a swarm configuration of up to eight examples if radio frequency coverage permits, and benefits from carrying a radar seeker emulator that is based on Leonardo’s seeker technology that the company provides for missiles. Italy is currently the only customer for the target, although the company is receiving interest from current customers of the 100/5 variant, Pietra noted, adding that the development of the M-40 was in response to a requirement to do more with less by reducing operating costs, although the company still sees a market for the 100/5 target. While it has been identified that the 100/5 is likely to be used less in the future as the M-40 is employed instead to simulate some of the higher-level threats, the older target is currently undergoing a mid-life upgrade to keep it relevant, Pietra noted.